HOUSTON — Power from offshore wind is finally poised for liftoff in the U.S.
Why it matters: The U.S. has long been a laggard, but that’s poised to change thanks to a convergence of forces that analysts see bringing enough coastal wind online over the next decade to power millions of homes. Atlantic Coast states moving ahead with zero-emissions power procurement policies. Oil-and-gas majors expanding their low-carbon power portfolios. Technology evolution and falling costs. The Trump administration supporting the development even as it abandons Obama-era climate programs. What they’re saying: “The missing piece for some time was actually an interest from the states up along the coast to acquire this power from this industry,” says Christer af Geijerstam, who heads U.S. wind efforts for the oil-and-gas giant Equinor. “That’s where we have seen the significant shift the last 2–3 years being led by New York and Massachusetts,” he tells Axios while at the big CERAWeek by IHS Markit conference. ICYMI: In December, Equinor was among the winning bidders in a federal auction of development sites that are off the Massachusetts coast. This adds to another site in federal waters off New York that it had acquired in 2016. They paid $135 million for the Massachusetts site in the Interior Department auction that brought in a record-shattering $405 million. I asked if Equinor would bid in federal lease auctions in the planning stages off New York and California. He said yes and offered no caveats. The big picture: IHS Markit’s current forecast sees 7 gigawatts of offshore wind coming online in the U.S. by 2030, up from almost nothing today. But that estimate could rise. “We will be looking carefully at what the outcome of solicitations in Massachusetts and New Jersey and New York is going to be,” IHS associate director Max Cohen says. Bloomberg NEF already projects 11.4 gigawatts of capacity by 2030. They’ve upped their estimate thanks to a combination of specific solicitations and long-term targets by state governments in Virginia, New Jersey and elsewhere. Danish wind giant Orsted bought the U.S. firm Deepwater Wind last year. A joint venture between Shell and EDP also had a winning bid in the recent Massachusetts sale. 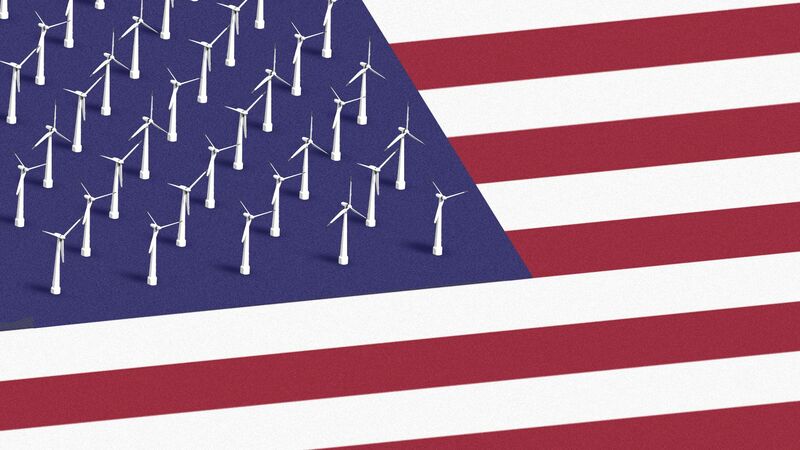 “The U.S. has a magnificent wind resource right next to a large population and highly densely populated areas,” Enrique Alvarez Uria of EDP Renewables said at a panel here yesterday. He estimated EDP’s effort with Shell could be a $4 billion to $6 billion capital investment. Vineyard Wind, which is co-owned by Copenhagen Infrastructure Partners and Iberdrola’s Avangrid Renewables, snapped up a lease that adds to their plans for a separate project in the region.